We believe that every student should have access to a great music education, and that means great teachers. 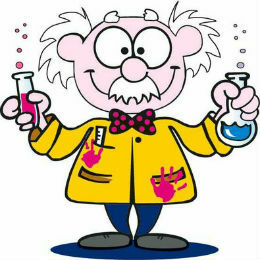 iPianoLab's faculty of professional musicians and educators make learning the piano fun! Hover over and click our faces to learn more about us! Dr. Nathan Williams received his DMA from the Julliard School, his MM from Eastman Conservatory and his Artist Diploma with highest honors from the Academy of Music and Fine Arts in Vienna, Austria. Dr. Williams has been hailed by critics as "a highly effective soloist" (The New York Times), "a stellar musician, capable of the most exquisite and expressive playing" (The Winston-Salem Journal) and for "his silky sound, superhuman contro and tireless energy (Houston Voice). Ely was born in Quito-Ecuador. She started her piano studies at the age of 5, at the Mozarte Conservatory (1997-1999). Further, Ely studied at the Franz Liszt Conservatory (2001-2003). Finally, Ely completed all the musical levels at the National Conservatory of Music (2003-2011). In 2011, Ely began her bachelor in Music Performance, at the Texas State University - San Marcos. On Fall 2016, Ely graduated with a B.M degree in Piano Performance, under the tutelage of Dr. Kayla Chon (USA-Korea). Along with her piano studies, Ely studied composition with Professor Richard Hall. Dr. Bethany Campbell received her Doctor of Musical Arts degree in piano performance from the University of Southern California under the tutelage of Bernadene Blaha. She graduated Pi Kappa Lambda and was chosen as the "Most Outstanding Keyboard Graduate" at the doctoral level within the Thornton School of Music During her doctoral studies, her minor fields were music education, college teaching, and music industry. 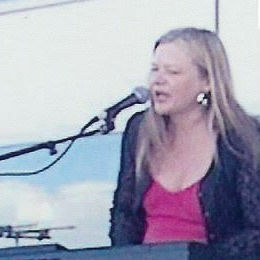 Dr. Campbell also received her Master of Music and Bachelor of Music degrees from the University of Southern California. She made her Carnegie Hall debut in 2007 and her recordings have been featured on 91.5 KUSC’s “Thornton Center Stage” program. Chris Villanueva grew up in San Antonio, Texas. In 2003, was selected the top jazz pianist by the Texas Music Educators Association. He has performed with local greats such as Armin Marmolejo, Cecil Carter, Joe Posada, Rene Saenz, Kirk Covington, Richard Oppenheim, Morgan King, Pete Rodriguez and Angel Roman and Mambo Blue by way of the Austin music scene. He holds both a Bachelor’s in Music Arts and a Master’s degree in Performance in Jazz Studies from the University of North Texas. In 2009, he toured Japan, performed at the Dallas Jazz Piano Society and has never stopped performing. He’s played at the Denton Arts Festival, Texas Jazz Festival (Corpus Christi), Austin Jazz Festival, St. Mary’s Jazz Festival and Jazz Alive Festival. Chris has shared the stage with international artists such as Richie Cole, Will Kennedy, Lynn Seaton, Luis Gasca, Jessy J, Blake Aaron, Peter White, Will Donato, Jeff Kashiwa and Ray Price. Chris has extensive studio experience in Jazz, R&B, Funk, Neo-Soul, Salsa, Pop, Country, Gospel and Tejano. His recordings have been described as sounds straight out of a Miles Davis session. He regularly performs with various ensembles in Austin, Dallas, Fort Worth, Houston and San Antonio. He teaches privately and was selected as a judge for the 2014 and 2016 Palo Alto jazz competition. He currently is leading his own group while producing, arranging and recording on various projects including his own album. Chris is a first-class musician and offers a mesmerizing display of technique, energy and passion. Karl "KC" Cousin is one of the most popular iPianoLab Teachers with students and parents alike! KC began playing the piano at age of four. With the assistance of his mother, KC started performing at the age of nine and began playing professionally at the age of 11. By the age of 14 was opening for such acts as the Temptations, The Four Tops, the Dellfonics, the O'Jays, Sly Stone, the Supremes, and more. While touring with the Baby Brother Band, KC was signed to a recording contract with Atlantic records, where he became very close friends and touring mates with the BarKays, the SOS band, Anita Baker, the O'Jays, the Commodores, and Frankie Beverly and Maze. In addition to his teaching and position as a Church Music Director, KC has performed at many of the five star luxurious casinos and hotels in Las Vegas, including the Platinum Hotel and spa, Mandalay Bay, Trump Tower, etc. 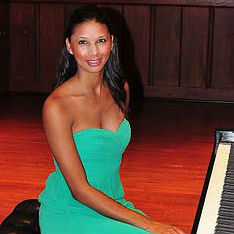 Dr. Brougher received her Masters and Doctorate in Piano Pedagogy from the Catholic University in Washington, DC. 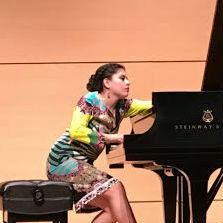 She was also on the faculty of the Universidad Autónoma de Zacatecas, in Mexico, where she was Chairperson of the Piano Division. Paul Pfaff grew up on Long Island , New York where he studied classical guitar with Michael Belajonas and earned his associates degree in Music from Suffolk County community College. Paul then moved to Las Vegas to attend UNLV and obtain his BA in Music composition, studying with Virko Bailey and Ricardo Cobo. 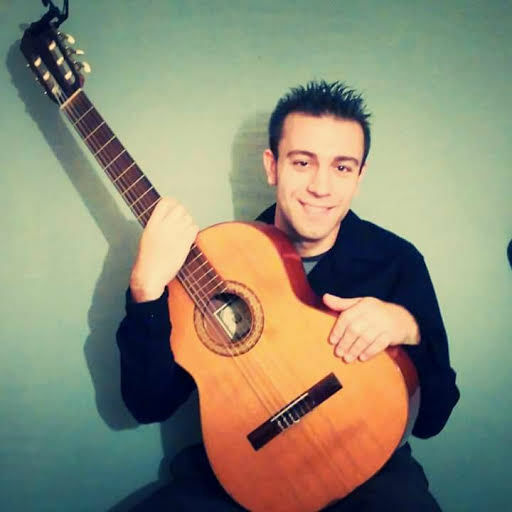 Paul has now been teaching piano, guitar, and music theory for 5 years as well as continuing to perform at various venues. He has been working with iPianoLab for 5 years and has been twice awarded the "Teacher of the Semster" award for positive feedback from students and parents. Sarah Ingraham was born in Fort Worth, Texas. She began taking piano lessons at the age of seven, and continued with lessons from various teachers until high school graduation. U pon completion of high school, Sarah moved to Tulsa, Oklahoma, to attend Oral Roberts University. There she earned her Bachelor of Music Education degree, with a concentration in voice. She now holds a Texas Educator Certificate and is certified to teach grades K-12. Throughout college, Sarah worked as a musical theater accompanist and a singing waitress and pianist. 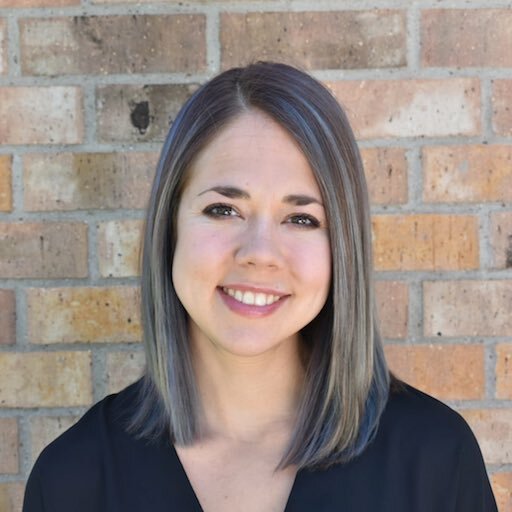 Upon graduation, she began working as an Assistant Choir Director for a large choir program in Northwest ISD, where she has both directed choirs and provided piano accompaniment for various choirs and soloists. 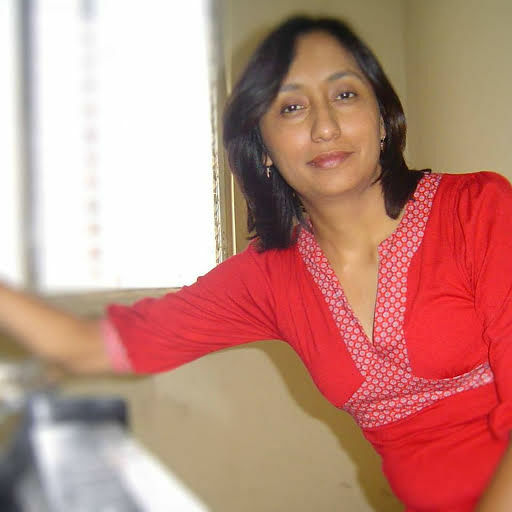 She has also provided many students with private piano lessons over the last several years. During her spare time, she enjoys being the keyboardist for a rock band and the rehearsal accompanist and pit musician for Saginaw High School’s musicals. 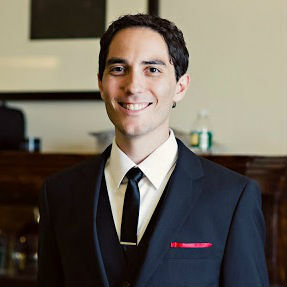 Josh Rodriguez has over 15 years experience playing piano, and during this time has toured both the United States and Europe. He is currently a Music Education major at Texas State University. Bryce Powell grew up in Abilene, Texas where he studied piano and percussion and performed a wide variety of music including singing with acapella choirs, tympani with classical and church orchestras, guitar with jazz and blues combos, drums with hard rock bands and more. 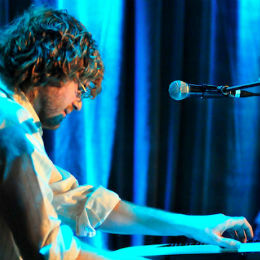 After earning a Bachelor of Arts from Abilene Christian University, Bryce moved to Austin where he quickly became an in-demand live and session keyboardist. When not teaching, he can be found playing keyboards, guitar or drums in one of Austin’s many music venues. 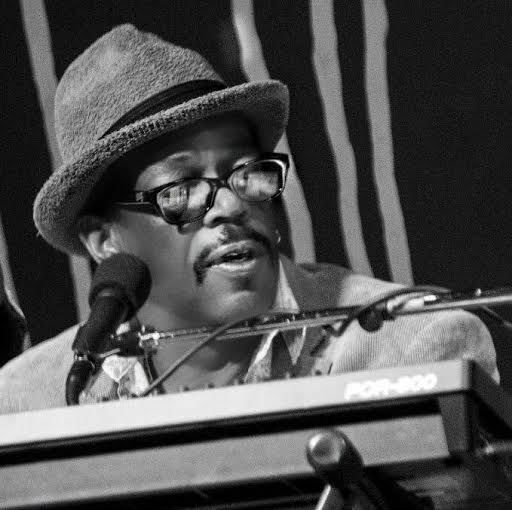 Jomon F. Fox is an accomplished teacher, vocalist, keyboardist and musical director. He studied at the prestigious Chapman University in Southern California, majoring in music arts and he has over 25 years of performing experience. 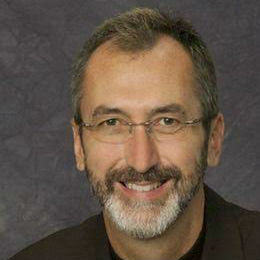 Since 2002, he has performed as a church musician and has been a church musical director for 10 years. Jomon also performs all over Dallas / Fort Worth as keyboardist and musical director for ‘Smooth Jazz FHG’ with performances at a wide variety of venues including wineries, outdoor city events, breweries, churches and public theaters. Jomon has also been teaching private keyboard instruction for 16 years and has been a studio musician and producer for 7 years. 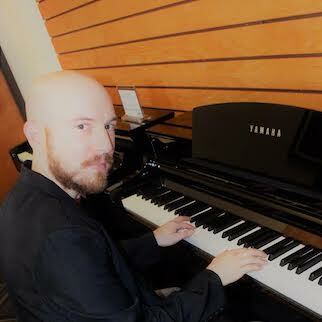 John Henderson is a collaborative pianist, composer, teacher, and music director. 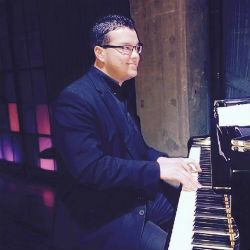 He has taught piano, organ, choir, and musical theater to students at many levels, from those in elementary school to those pursuing graduate degrees. Institutions where he has taught include The Catholic University of America, Montgomery County Community College, Saint Bernadette Catholic Church, Adventure Theater Musical Theater Center, and Everyman Theater. As a performer, John has worked extensively with soloists and ensembles in a variety of venues and styles, recently joining mezzo-soprano Claire Galloway Weber to compete in the Nadia and Lili Boulanger Voice and Piano competition in Paris. His compositions, ranging from sacred to musical theater, have been performed across the country and abroad for occasions including Pope Francis’s visit to the United States, the Kennedy Center’s Page to Stage Festival, the Washington International Piano Series, a nd the International Double Reed Society Convention. Jacob received his Bachelor’s of Music degree from the University of Texas at Austin, specializing in Music Studies. As a percussionist he had the opportunity to study under renowned musicians Thomas Burritt and Tony Edwards. 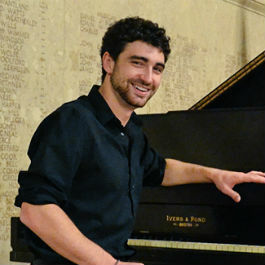 At the University of Texas, Jacob participated in various ensembles including the Percussion Ensemble, Symphony Band, University Orchestra, and Pale Blue. A lifelong piano enthusiast, Jacob brings both his love of piano-playing and music-making to his educational approach. 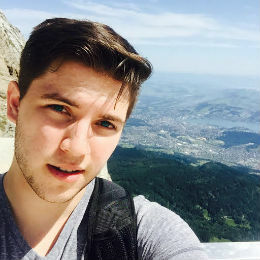 With years of individual and group-based teaching experience, both in percussion and piano, Jacob focuses on setting up students for success while ensuring that lessons are engaging, fun, and rewarding. Steve Catanzaro studied for his Doctorate in Piano Performance with Robert Hamilton at ASU, who was a student of Horowitz and listed in the book "The 50 Best Piano Teachers in the USA." He received his MM in Piano under Dr Lucinda Carver, Dean of USC's Classical Performance Dept and Director of the LA Mozart Orchestra. He also worked with the legendary Harold B Rhodes, a famed pedagogue and inventor of the Fender Rhodes Piano. Steve has produced music for Grammy Winner Macy Gray, Emmy Nominee Sy Smith, Jazz legend Oscar Brashear, and many others. The iPianoLab Method is based on providing a foundation for the entire wide range of musical experiences available to new keyboard students from classical, to jazz, to pop, and more. David earned his BM in Jazz Studies with an emphasis in Jazz Performance from the prestigious USC Thornton School of Music, where he studied jazz trumpet and piano under modern day Jazz legends Bobby Shew, John Thomas, Justin Ray, and more. An accomplished pianist, trumpeter and composer, David has not only performed all around the country, but has composed original music for film and television, most notably providing theme music for the documentary Class of '83, as well as several web series and indie features. 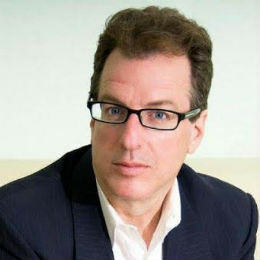 With a vision of connecting people and empowering creative expression through the arts and media, David founded One Light Music in 2004, and shortly thereafter launched Productiontrax.com, quickly becoming one of the most popular user-driven music libraries on the internet, serving markets in the US, Europe, and Asia. David's technology expertise and leadership have been utilized by non-profits, small businesses, and Fortune 100 companies around the globe. David holds strongly to his belief in the power of music for communication, expression, and inspiration, and believes that music education is a key cornerstone in moving towards a better future. Michele graduated from Arizona State University with a 4.0 GPA in Music Education, and studied classical piano under famed pedagogue Earl Voorhies. Michele was also awarded a Ford Foundation scholarship and studied composition with Ronald Lapresti. She was the bandleader at "The Central" (now the Viper Room) in LA where she led jam sessions and sit ins attended by the likes of Ringo Starr, Pat Metheny, The Who, Eddie Van Halen, Spencer Davis, Phil Collins and many more. She was also awarded the "Best of Las Vegas" Entertainer of the Year award by the Las Vegas Review Journal.